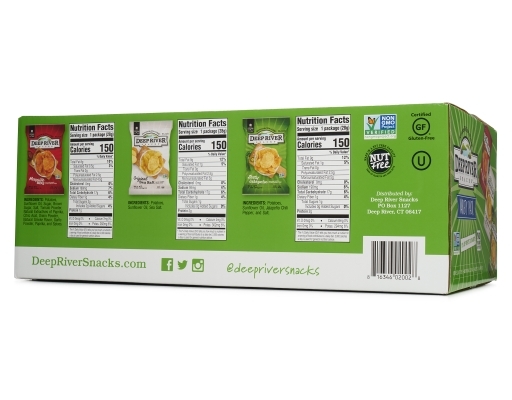 If you’re looking for a delicious, better-for-you salty snack, look no further! These are no ordinary kettle chips, Deep River Snacks kettle chips are sure to satisfy. They are made in small batches, ensuring outstanding crispness and crunch. 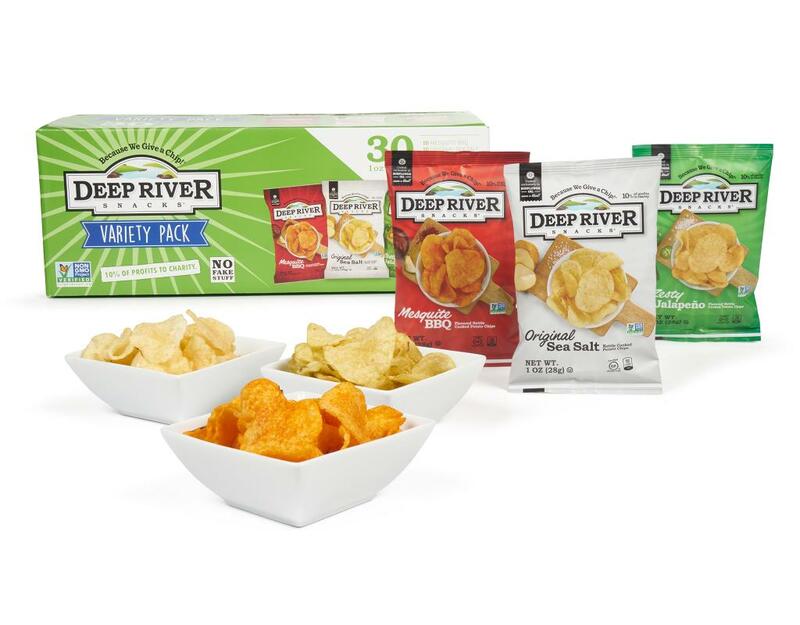 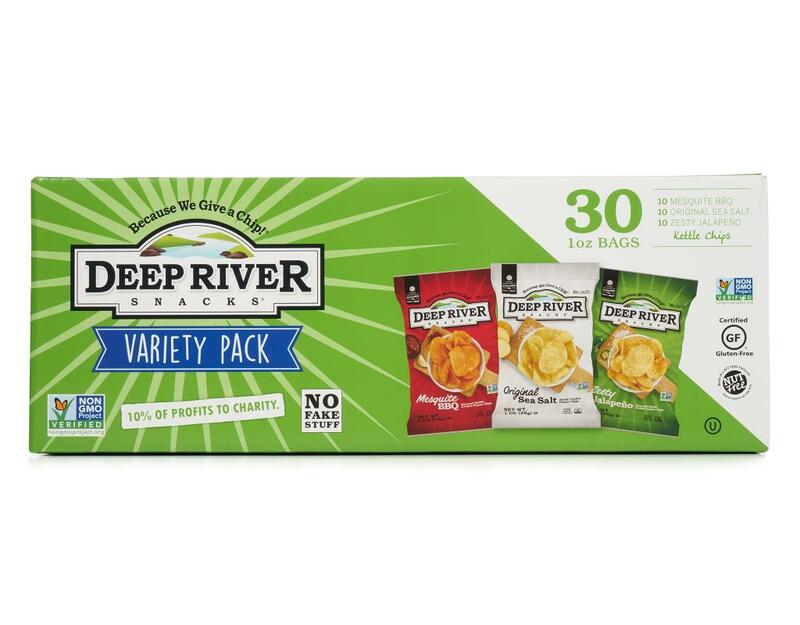 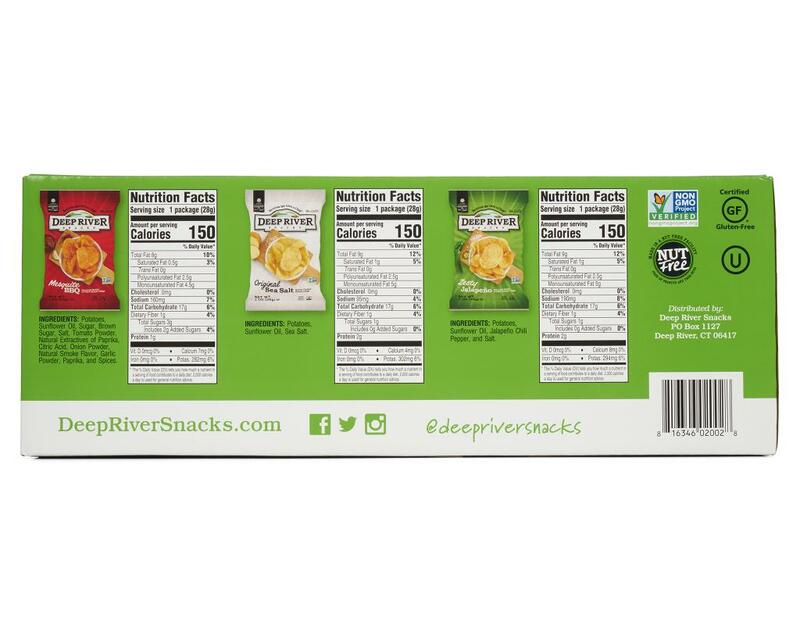 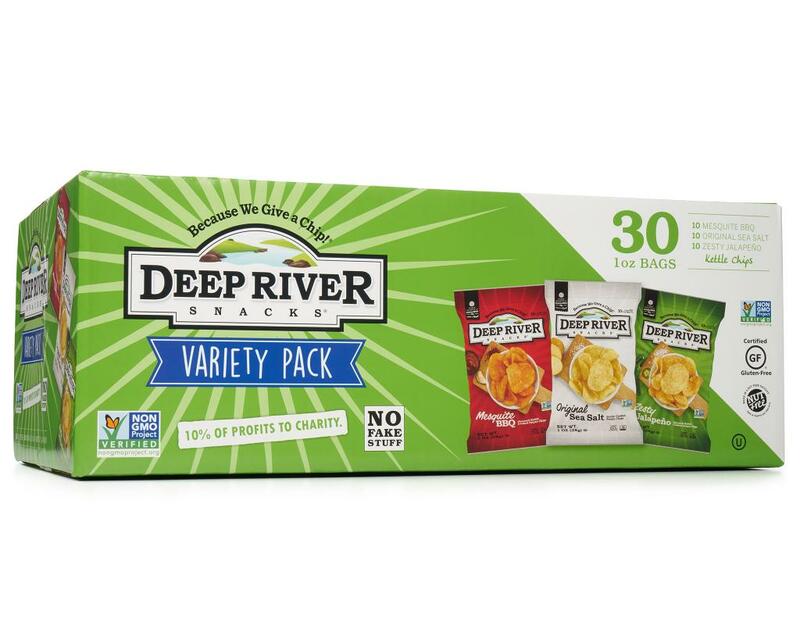 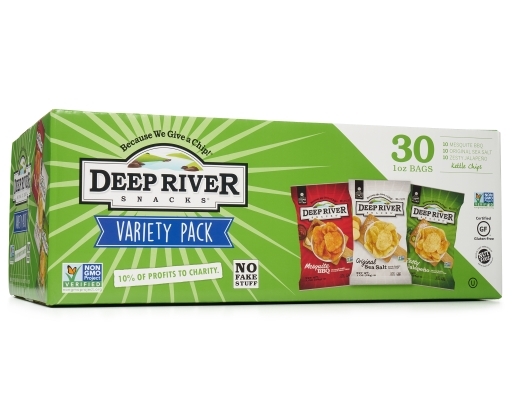 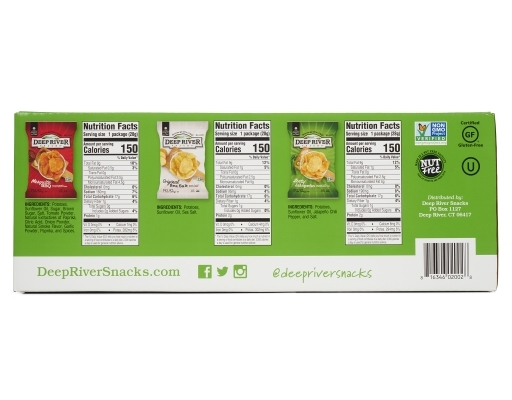 Deep River Kettle Chips are a better-for-you snack made exclusively with sunflower oil. And these kettle cooked chips are certified gluten-free, free from GMO ingredients, and made in a nut-free facility. 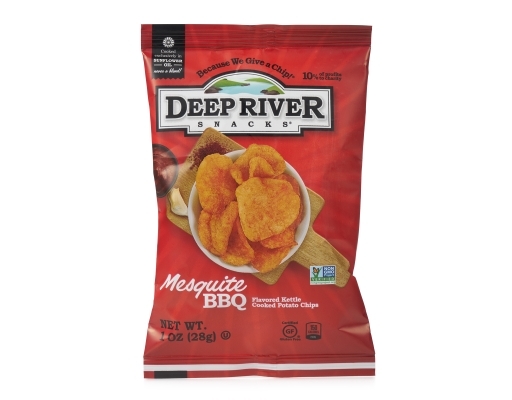 Mesquite BBQ: Down-home, done right! The perfect blend of mesquite, brown sugar, and paprika, with notes of exotic spices – your taste buds will thank you. 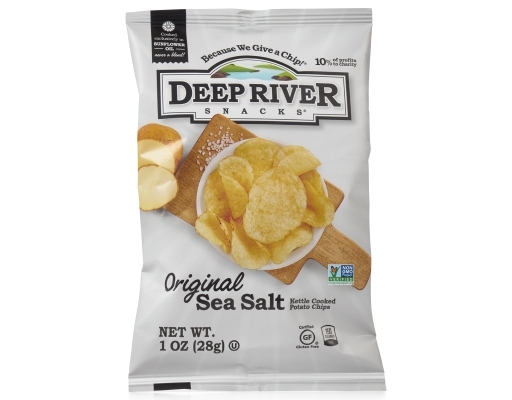 Original Sea Salt: Made with just three simple ingredients: thick-cut, kettle-cooked potatoes, sunflower oil, and a touch of sea salt. These salted kettle chips may be Original, but they’re anything but plain. 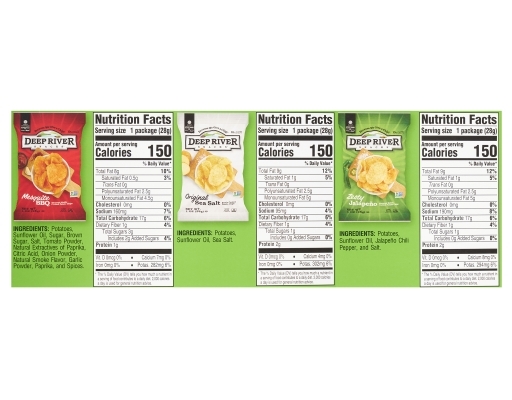 Zesty Jalapeño: These kettle chips offer a four-alarm kick with only four ingredients. 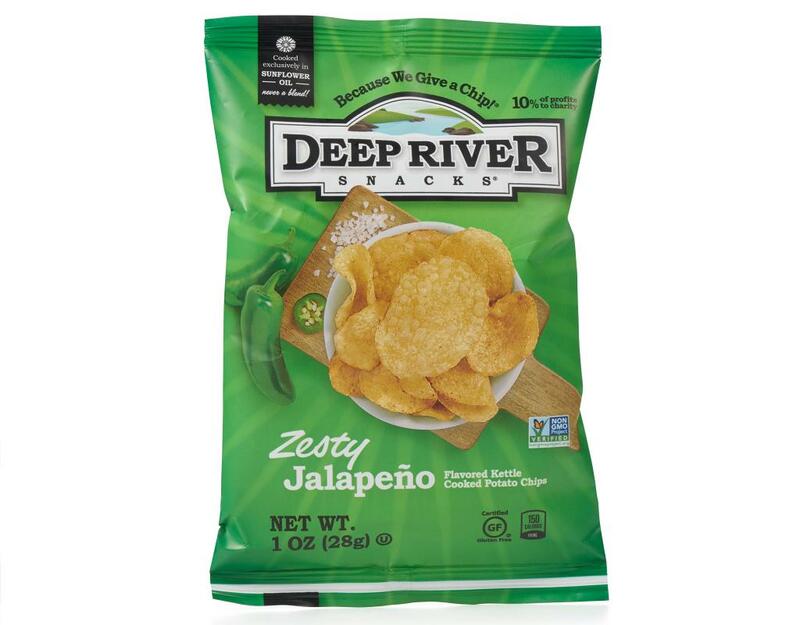 Impossibly simple and incredibly delicious, Zesty Jalapeño kettle cooked potato chips are the perfect balance of flavor and fire.